Excavations at the site of prehistoric Akrotiri, on the coast of the Aegean Sea, have revealed much about the technical aspects of pottery manufacture, indisputably one of the basic industries of this Greek city. However, considerably less is known about the socio-economic context and the way production was organised. The establishment of regular trade routes within the Aegean led to increased movement of goods; consequently a regular exchange of local, luxury and surplus goods, including metals, would have become feasible as a result of the advances in transport technology. 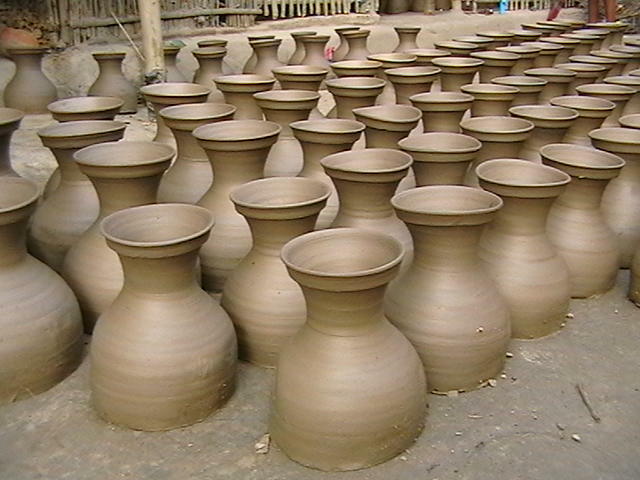 The increased demand for standardised exchanges, inextricably linked to commercial transactions, might have been one of the main factors which led to the standardisation of pottery production. Thus, the whole network of ceramic production and exchange would have depended on specific regional economic conditions, and would reflect the socio-economic structure of prehistoric Akrotiri.